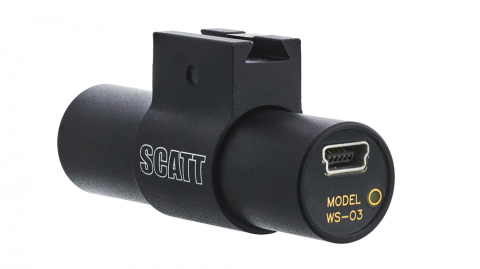 SCATT WS1 is an electronic training system with a wireless optical sensor for fixed target training. This dry-fire trainer is intended for indoor use. 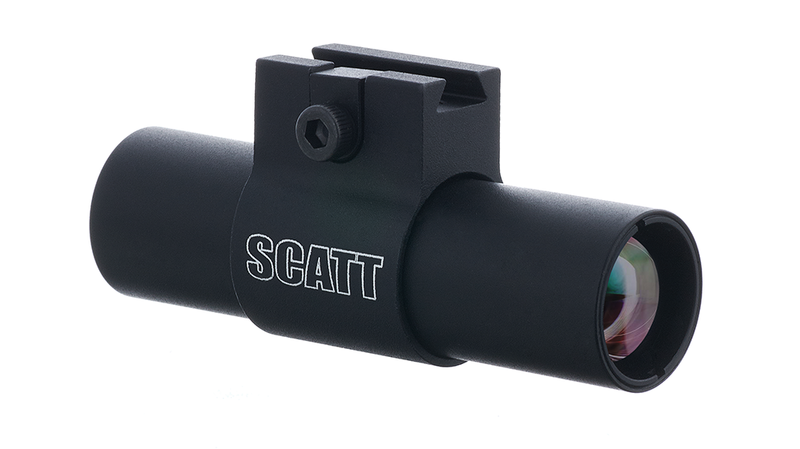 It can be used at real distances from 5 to 10 meters to electronic target frame and simulate dry-fire shooting up to 1000 meters. 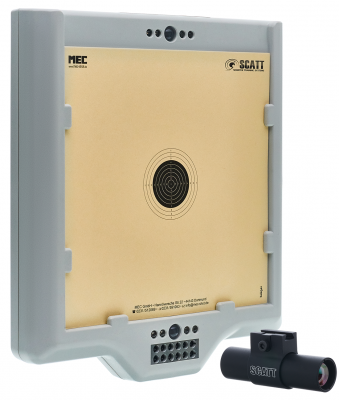 Electronic target frame can be used at distances from 5 to 10 meters, allowing you to train in different rooms using a single device. There are red and green light indicators at the top and the bottom of the frame for timed fire practice (e.g. for match pistol shooting). The wireless optical sensor (model WS-03) mounts on the shooter's gun. It precisely registers weapon's alignment during aiming and at the time of the shot (release of trigger). The sensor weighs only 30g (including mounting system) and practically doesn't affect the gun’s balance. Software allows automatic calibration of the sensor relative to the aiming axis, so there is no need for adjusting the sights of the gun. The sensor compensates rifle cant automatically! The wireless WS-03 optical sensor has a built-in battery and can be recharged from the USB port of your computer. A full charge requires roughly 1.5 hours. The battery life is approximately 30 hours of continuous aiming (about 10,000 shots with an average time of sighting of 10s). When idle the sensor automatically switches to power saving mode. You can also connect the optional trigger pressure sensor accessory SCATT WTS to the charging port of the WS-03. It will provide a graph of your trigger pull pressure.